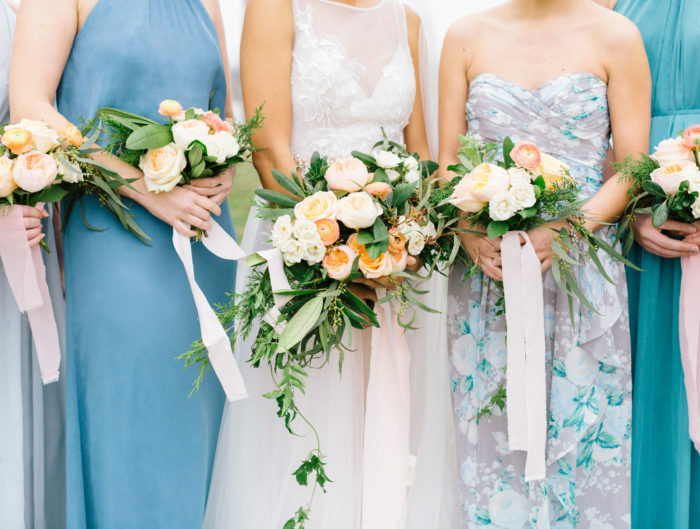 You know we’re always looking for the latest and greatest wedding day trend, right? But we definitely want to bring you guys suggestions with a little staying power. Well, we’ve found just the thing. 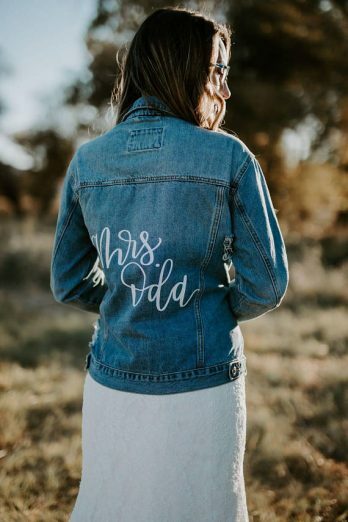 Personalized wedding day jackets! Now we know some people are saying these are a hot ticket item for winter weddings but you know what? We don’t think they’re ONLY for winter weddings at all! Spring, summer, and fall can get a little jacket love too. Want to get your gals or your guy involved? 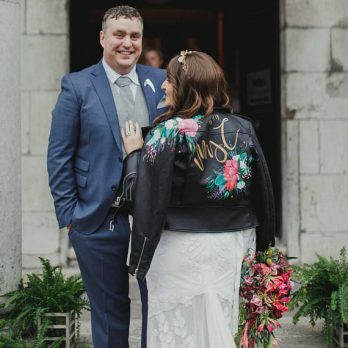 Jackets aren’t JUST for the bride! Now comes the hard part. 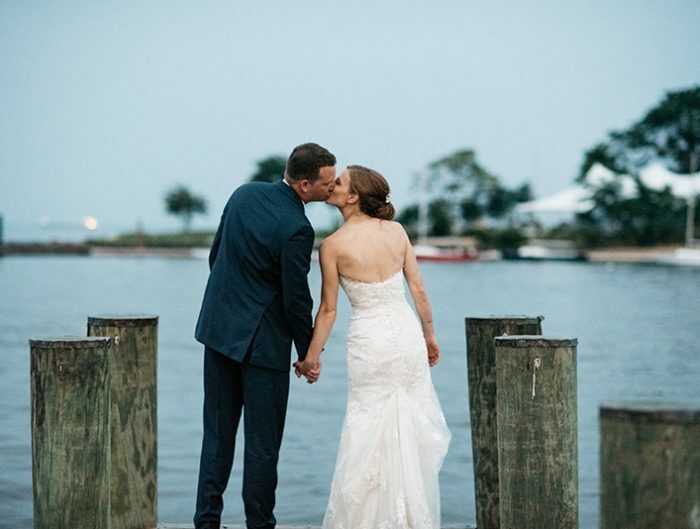 How do you choose which type of jacket you want to sport at your DC area wedding? Don’t worry, we’ve got your back. And so will our picks for best wedding day jacket! Ha, see what we did there?! Click on each link or photo below to shop! Share the love! 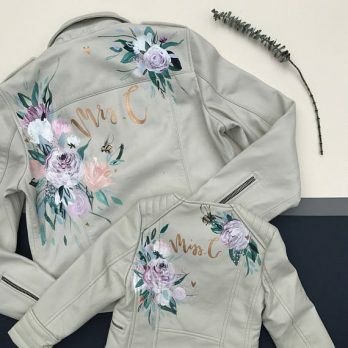 We’re sure your bridesmaids would love a killer wedding day jacket as well! 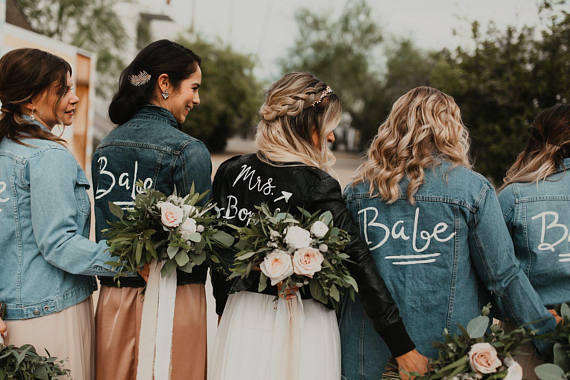 Whether it’s leather or a denim bridesmaid’s jacket, they’re sure to impress. 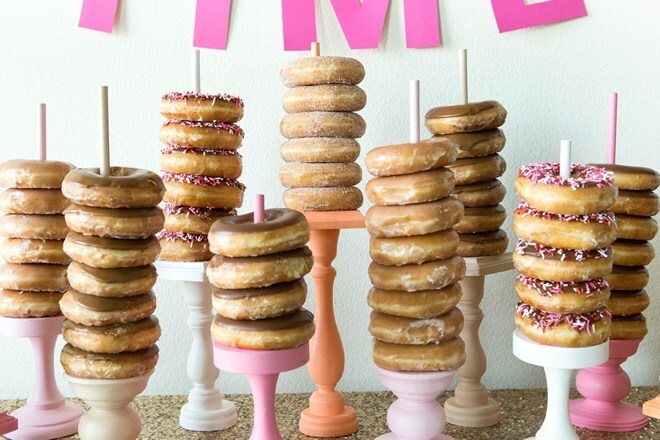 Wouldn’t these make for the most amazing bridesmaid gift?! We think so. You can’t go wrong with one of these babies! Want to save a little dough? 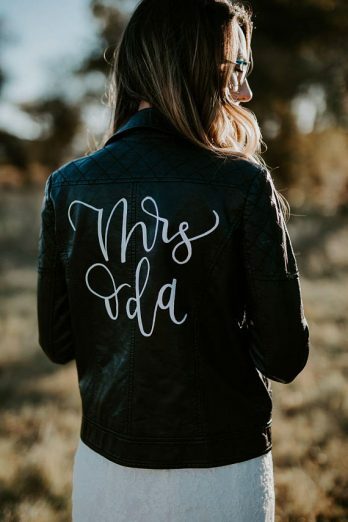 Ask your bridesmaids to supply the leather jacket and you can pay to have them painted or embroidered! Proudly sport your new last name in one of these beauties! 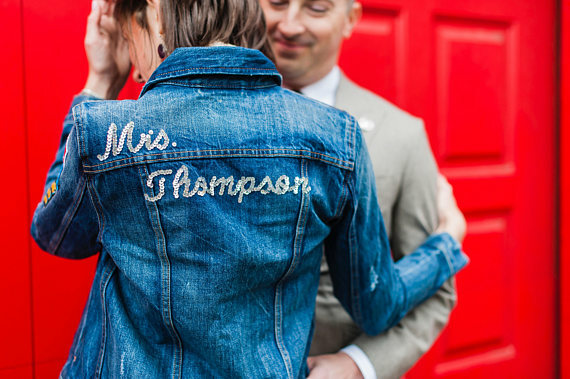 These personalized wedding jackets are perfect for photos with or without your new spouse. Not to mention, you will look SO freakin’ cool in them. If you’re looking for something a little more subtle, we’ve got that too! 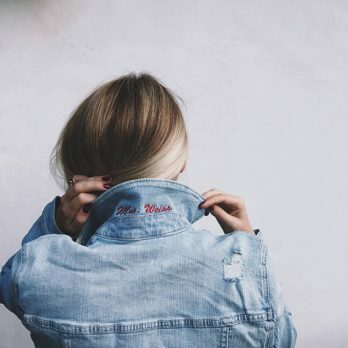 The simple embroidery on the inside of the collar on this embroidered denim jacket is just the thing! Pop it up for wedding day fun or roll it back down for the everyday. And how run will it be knowing that it’s back there after your wedding day is over?! 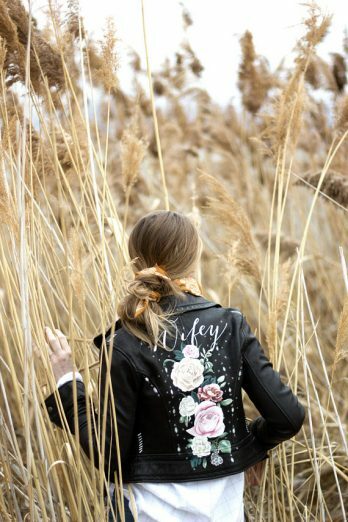 If something with a little more flair is more your style, we suggest one of these custom hand painted leather jackets. You can put whatever your heart desires on all sides of one of these jackets! Don’t love the leather look? 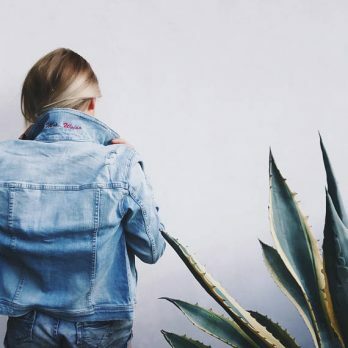 They do denim too! This is definitely one of our favorites. I mean, just look at the detail! If you’re looking for something a little softer, a colored leather would be perfect. 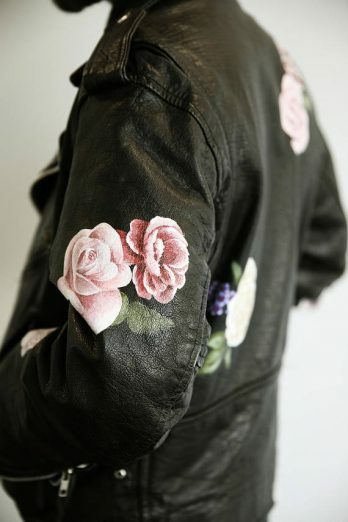 We are swooning over this pink hand painted leather jacket! Or maybe the gray is more your style! Whichever you pick will look stunning with your bridal gown. Add some sparkle to your wedding day with this one! 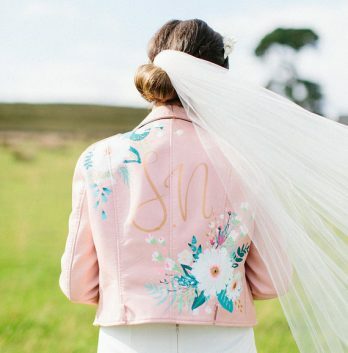 Who wouldn’t love a hand sequined jacket on their wedding day?! Embroider it with your new last name or something fun like “wifey” or your wedding date! Look at how intricate these two custom leather jackets are! We are in love with all of the hand painted floral designs. So there you have it! 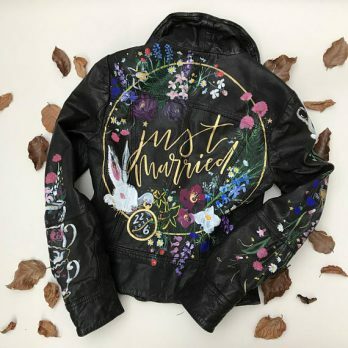 Go pick up your fave wedding day jacket! Need more wedding day attire inspiration? Check out what local couples are wearing on their wedding day! Some of the links in this post may be affiliate links however all opinions are those of United with Love. Not Too Crazy DIY Ideas!